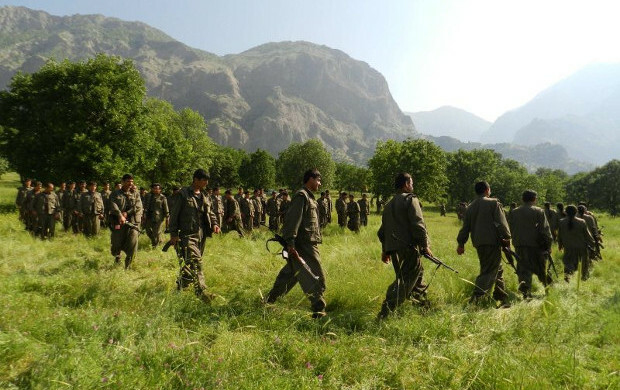 The East Kurdistan Defense Units (YRK) information centre informed Firat News Agency about a clash in Serdeşt between YRK guerrillas and Iranian Sepah forces which occurred on Monday 1st of June. According to YRK’s source, there was a clash between YRK guerrillas, and Iranian Sepah forces in the village of Barîke, in Rabat; a city in the Central District of Sardaşt County. As a result of the clash 8 Iranian soliders were killed in the clash. YRK’s source added that they will shortly publish a public statement to give more information about the clash. In the last month Iranian forces have attacked YRK guerrillas several times, and during the conflict many of the Sepah-e Pasdaran forces and contra-guerrilla agents were killed. In those conflicts a number of guerrillas lost their lives. Last month YRK warned the Iranian regime against the increased attacks, and said that they will take strong action against Iran’s fascist military forces.